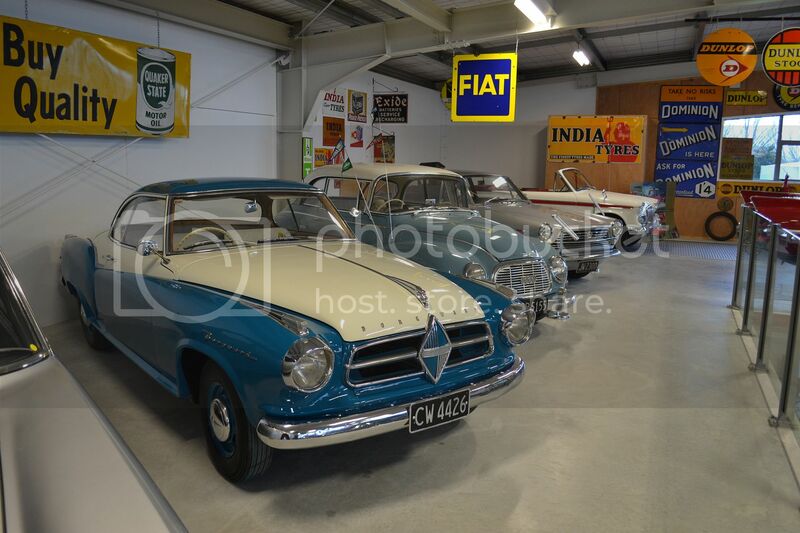 The Road Ranger Blog: More from the Classic Car Museum. 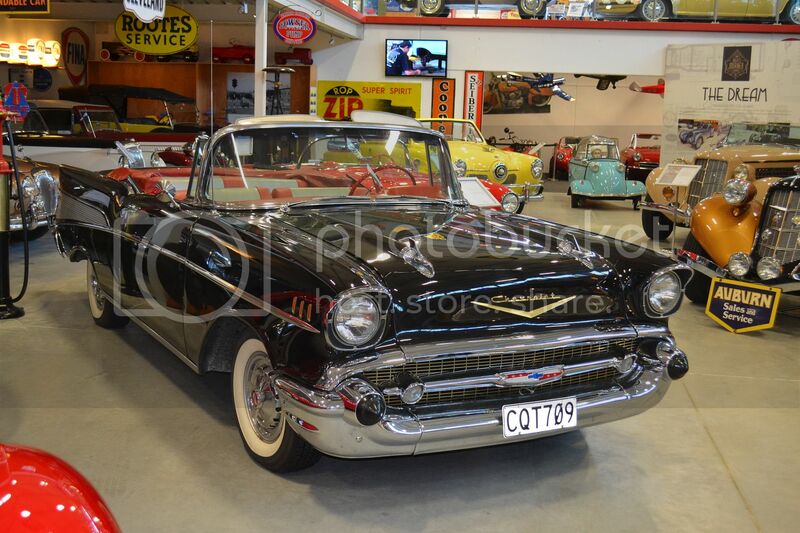 To some, the '57 Chevy is the ultimate model of the tri-Chevy era. Personally I think the bullet shaped bumpers and gun-sights on the bonnet are over done. My pick is the '56 models. 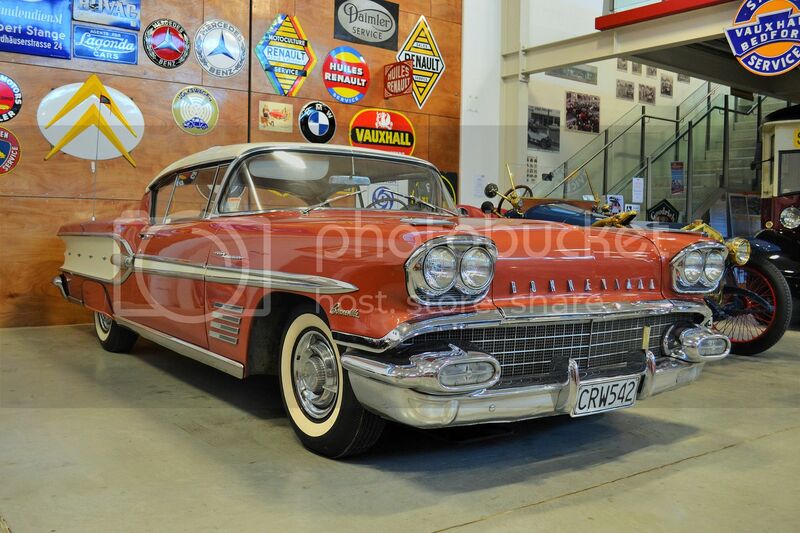 '58 Chevs aren't common and even less common are the similar '58 Buicks, but the (also similarly styled) Pontiac Bonneville must be the rarest of them all. 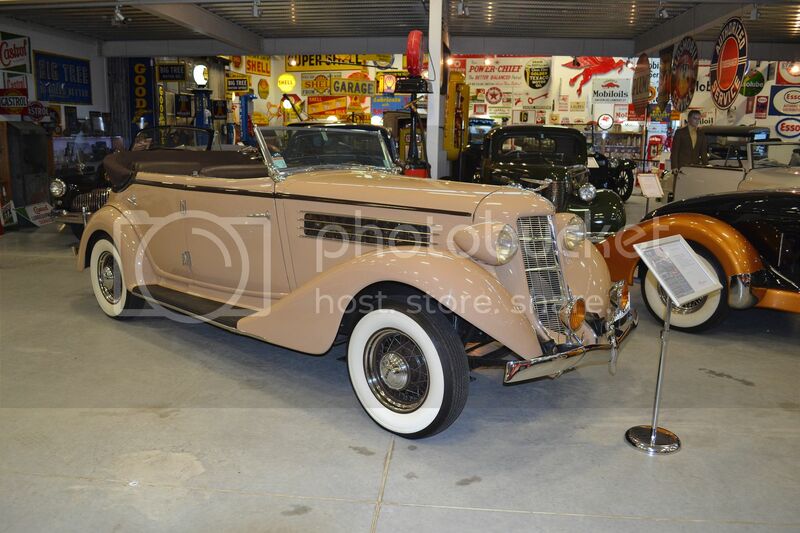 The 1936 Auburn Speedster had true 100mph performance from its supercharged 4.5 litre Lycoming straight 8. The museum has other items besides cars on display. 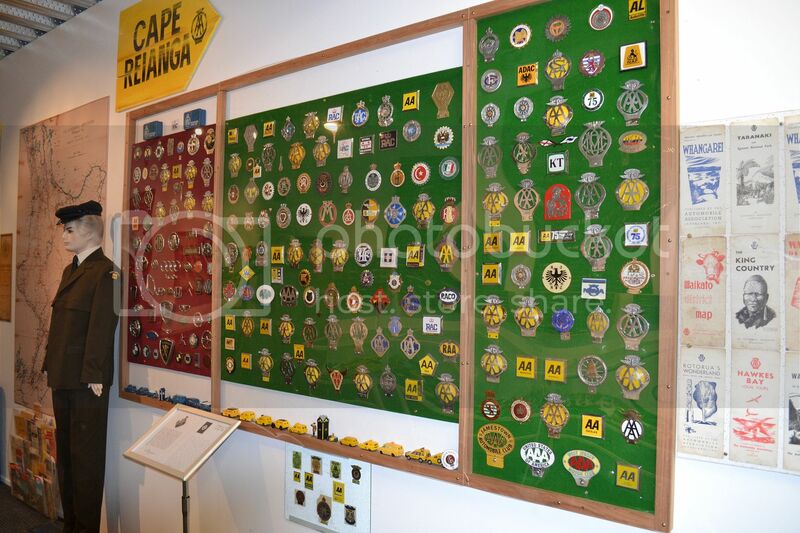 Here is a display of AA and RAC badges and model vehicles. 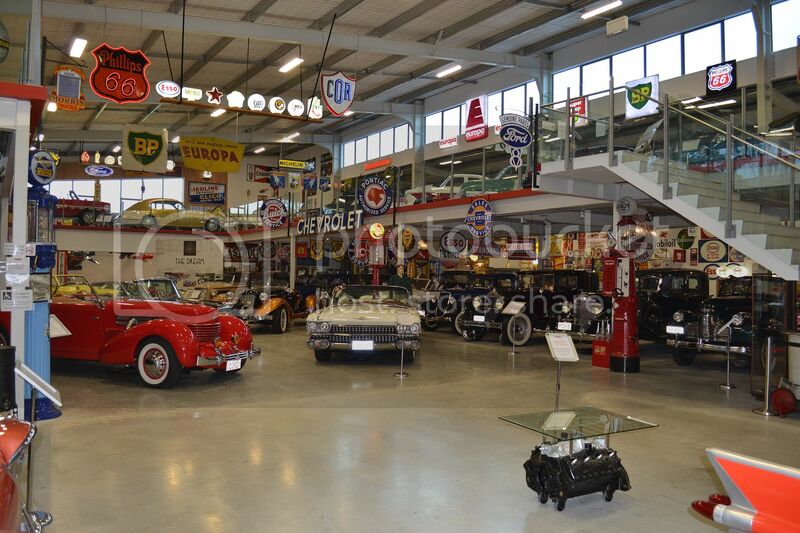 A general look of the well presented museum, with its mezzanine floor. 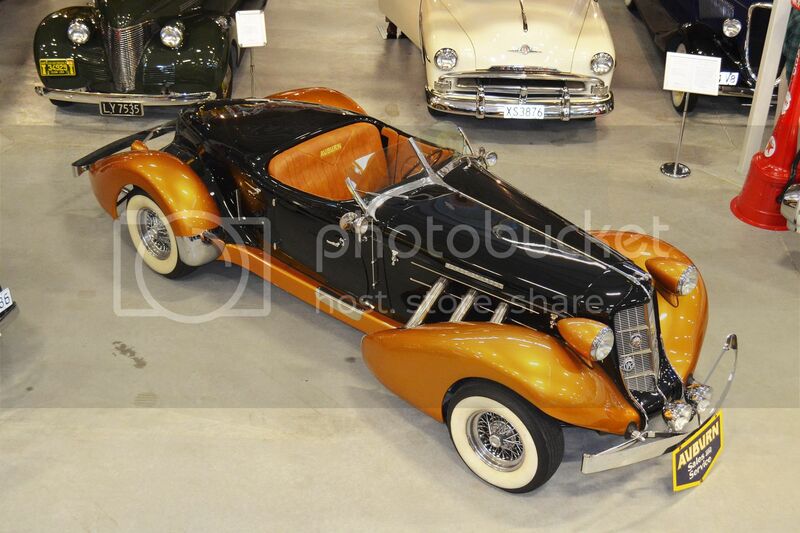 This Auburn Boat-tail Speedster was a superb example. The relatively wide tyres, suggests this may be a replica. 1957 Borgward Isabella TS Coupe. Behind it is a 3 cylinder, 2 stroke Auto-union. I remember one of my school teachers had one of this model. 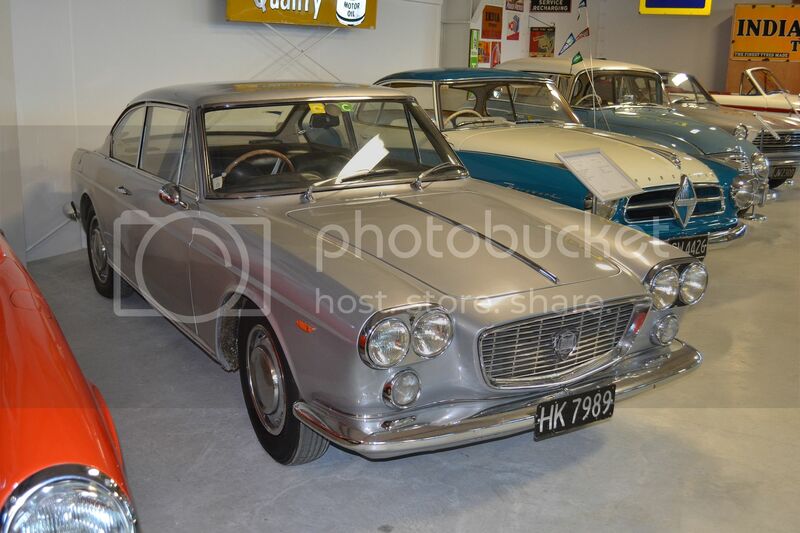 The 1964 Lancia Flavia Coupe was capable of 107mph with only a 1488cc front wheel drive power train. 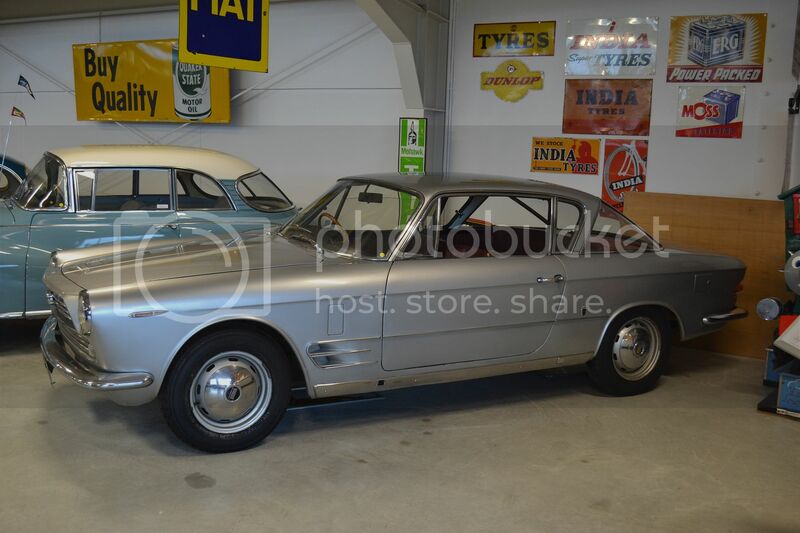 The Ghia designed body of the 1962 Fiat 2300S Coupe. My first car was a Sunbeam Rapier series IIIa, but sadly, not a convertible. 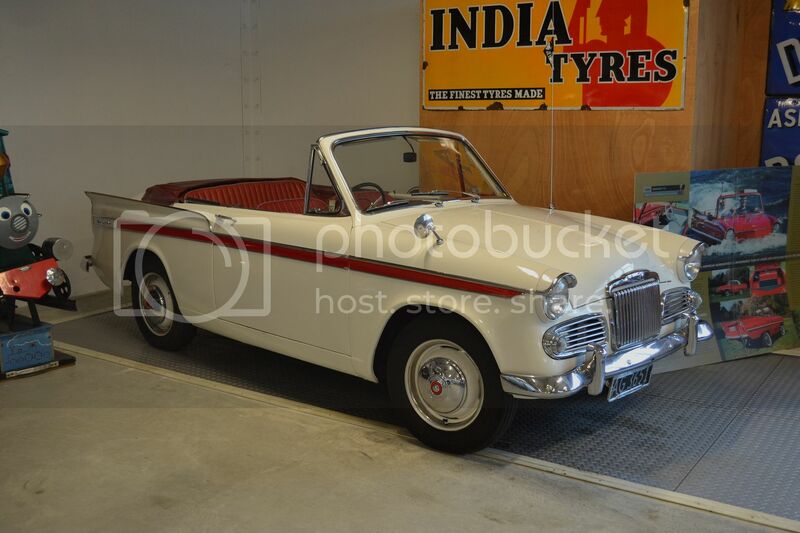 This is a 1961 series III. Externally there was virtually no difference between the III and the IIIa, but the engine size was increased from 1494cc to 1592cc. The larger engine was also considerably modified internally with bigger diameter crank journals, larger oil pump etc. to make it more durable.